Set in Ferizaj, 13 km from Gadime Caves, Bolero Hotel has a number of amenities including a terrace, a bar and on-site dining. The property provides a 24-hour front desk. 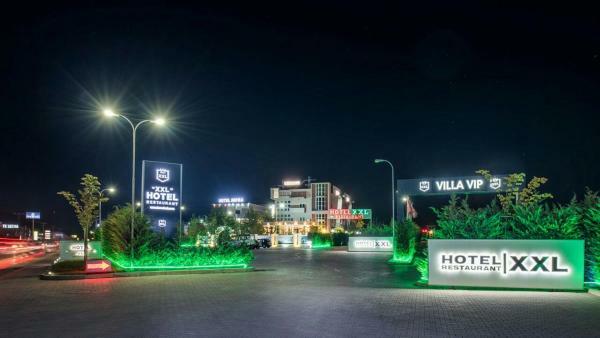 Set in Ferizaj, Hotel XXL offers air-conditioned rooms with free Wi-Fi. Among the various facilities, guests can enjoy a garden and a bar. The accommodation provides a 24-hour front desk. Offering a terrace and views of the city, Hotel Lybeten is located in Ferizaj. Guests can enjoy the on-site bar. Luli's Haus is a holiday home with a garden, situated in Ferizaj, 27 km from Gadime Caves. Guests benefit from terrace. Free Wi-Fi is provided . El Motel Holiday se encuentra en Ferizaj. Está rodeado de un jardín y alberga un restaurante con terraza. Hay conexión Wi-Fi gratuita en todas las dependencias. Todas las habitaciones cuentan con TV por cable y escritorio.